Benefits Mutual Insurance Services, Inc.
Los Angeless packed greater metropolitan area means that there are a lot of people on the roads during the workweek rush hour. But you don't have to test the daily downtown commute to benefit from the protection of Los Angeles auto insurance from Nationwide. There are also plenty of RVs, motorcycles, and other specialty vehicles enjoyed by residents across the city. Talk to one of our Los Angeles auto insurance agents about your coverage and discover the services and products that have earned us a 95% member satisfaction rating. Whether you're protecting a home that's been in the family for generations, or you've just bought a house in one of the city's fledgling newer communities, it's impossible to foresee every possible hazard. A Los Angeles home insurance policy can help get you and your family back on their feet when covered damages occur. Along with the usual options included in a homeowners policy, you should inquire about our Brand New Belongings®, Better Roof Replacement®, and other Nationwide homeowners programs that can strengthen your coverage and your peace of mind. You know how people think they know Los Angeles just because they've heard enough of the city's folklore? it's not all that different with life insurance. Just because you've heard about term, whole, universal, and variable policies doesn't mean you know which one is right for your household and family planning. Fortunately, our Los Angeles life insurance agents have plenty of experience understanding the individual concerns of local families and their life insurance decisions. If you're like a lot of Los Angeles business owners we know, you're constantly evaluating and worrying about the vulnerabilities facing your company. What risks keep you up at night? Broken windows and late night burglary? An employee or contractor getting in an accident with a company vehicle? Fire and/or flooding? Like so many things, we can't prevent every instance of commercial loss, no matter how hard we try. Fortunately, our Los Angeles business insurance agents can serve as risk management experts for companies in a variety of sizes and industries. In just minutes, you can input your zip and local insurance information to view personalized quotes. 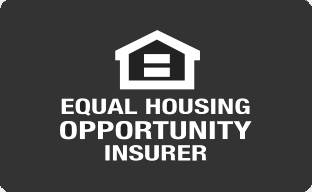 Next, buy the policy online, or speak with one of our Los Angeles insurance agents.